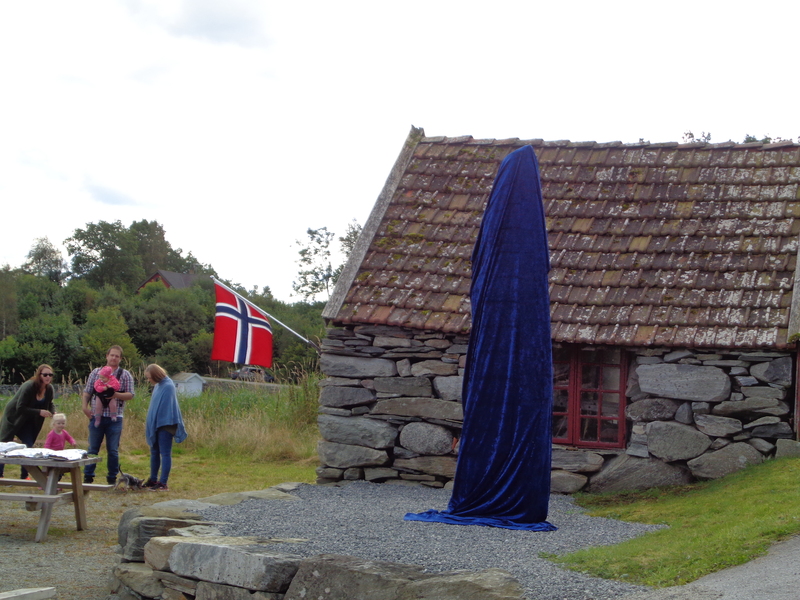 Sunday September 3rd was unveiled a memorial stone on the farm Eide on the island of Fogn to commemorate Marta Jørgensdotter Eide. 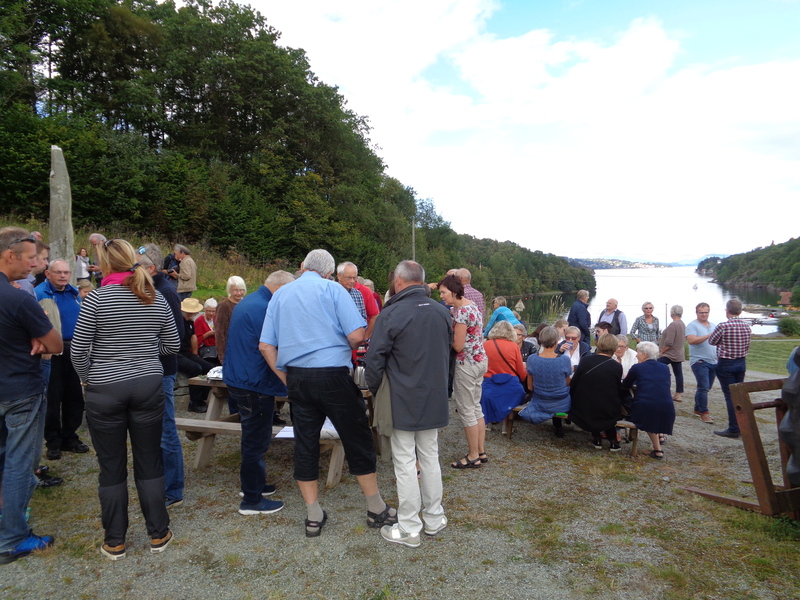 Many people came to Eide this day. Also the new Restauration, the replica of the first Restauration came to Eidsvåg dock with many guests on board. All had a nice, interesting celebrating. Marta was married to Lars Larsson Jeilane. He was the leader of the group who emigrated at the sloop Restauration from Stavanger, Norway July 4th 1825. After two mounts on board, Marta gave birth to their first baby, a daughter named Margareth Allen. And still the mother with the baby had to be one month more on board till the sloop arrived in New York October 9th. Martha and Lars Larson built their home in Rochester. They helped many emigrants comming to America the next pioneering years. On the way toward west the emigrants often came with short of money and food. Martha, the head of the housekeeping was helpful, and with love she took good care of them, though it was often difficult to supply all the necessary food. Here on Fogn, Martha`s birth place, we call her: Mother of the Norwegian emigration to America. This entry was posted in Norway (country) on October 14, 2017 by Bill. 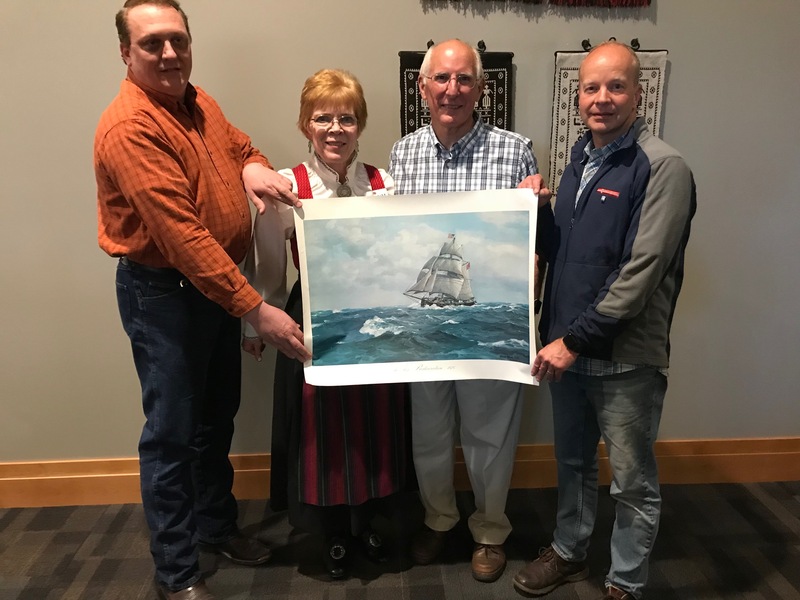 The Norwegian Slooper Society of America held their 2017 annual meeting on October 8, 2017, in Norway, IL. 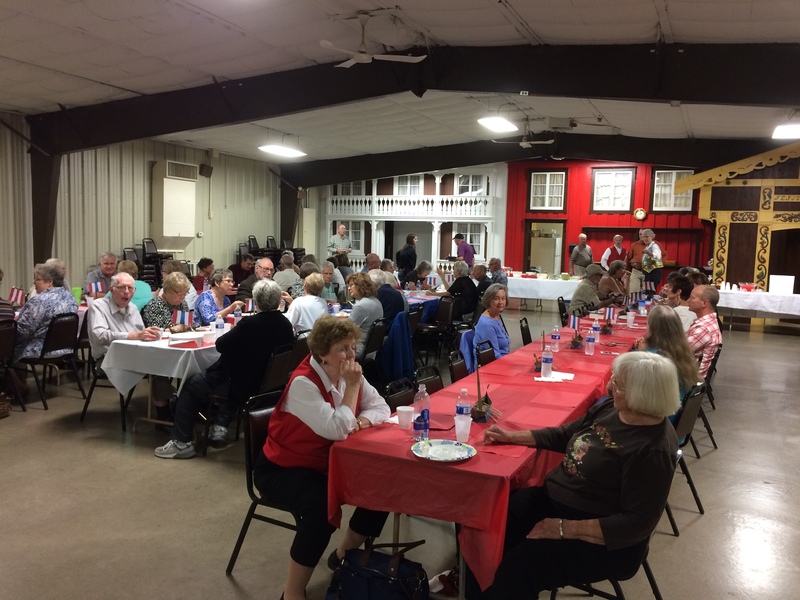 There were 61 in attendance. 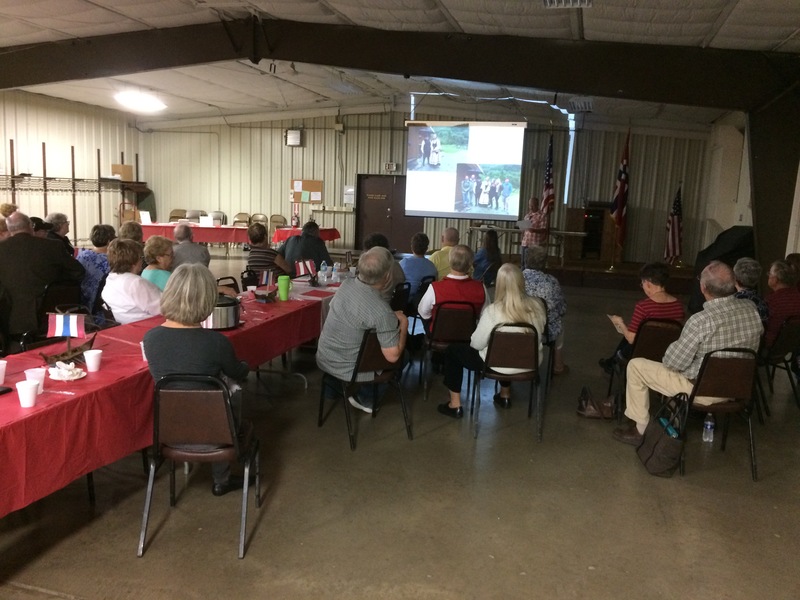 Kirk & Renée Mies (Lindenhurst, IL) spoke on “An Enduring Legacy”, a story of their ancestors. 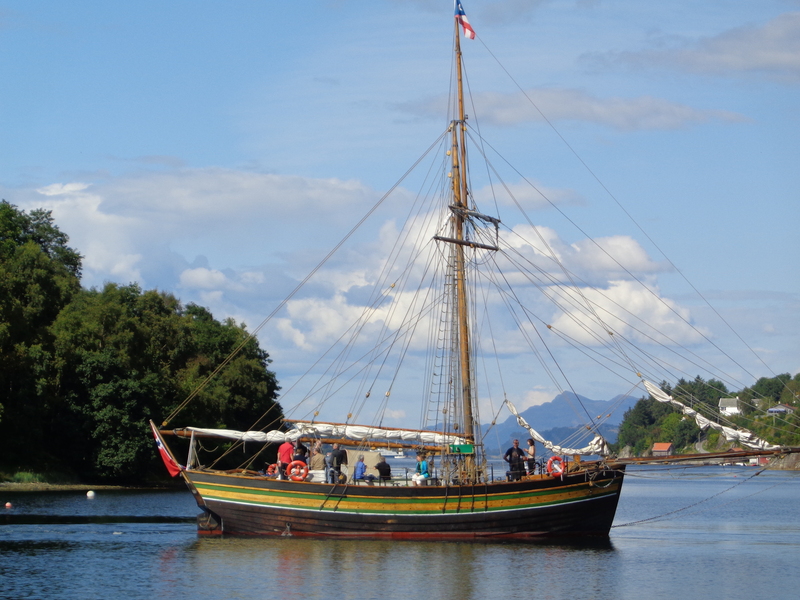 Kirk’s story is that of Daniel and Brita Rossedal (present descendants: Rosdail) making their way from the farm in Norway to boarding the sloop Restauration in Stavanger. 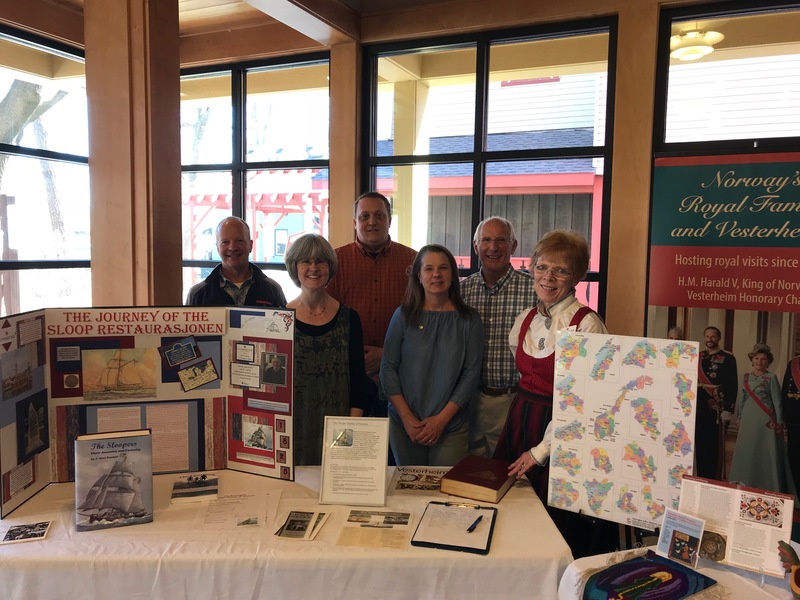 Kirk is a descendent of Daniel and Bertha, and followed in their footsteps going from the Rossedal farm in Trysvær, Norway, to the Hersdal farm, then on to Stavanger to catch the ship to America. 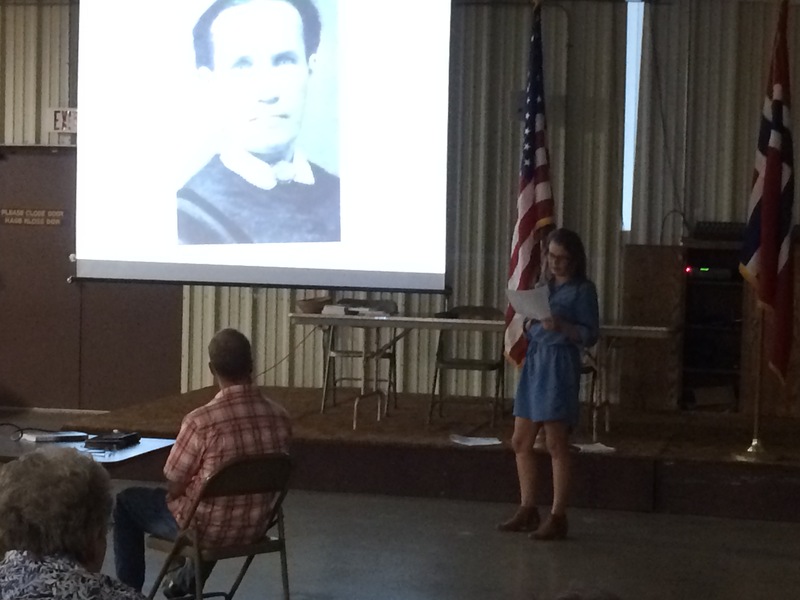 Renée shared her Irish ancestry, which was intriguing as well. 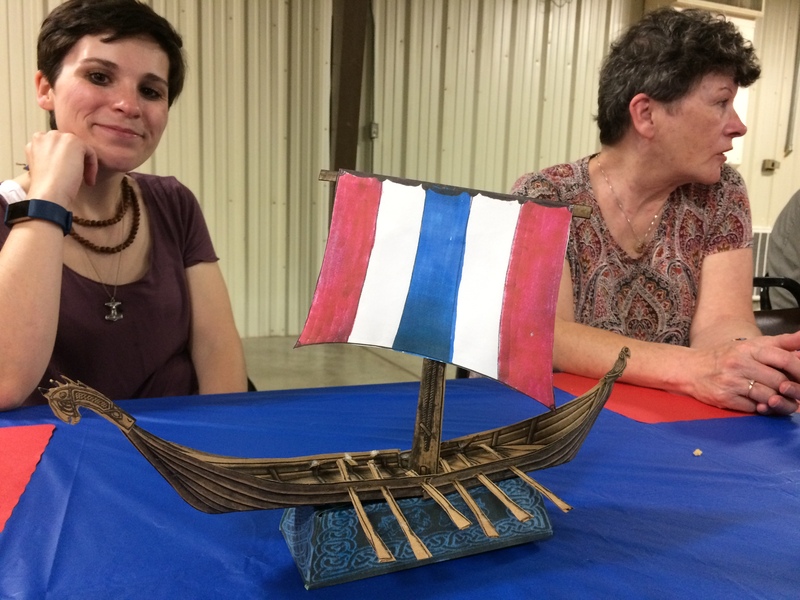 Who knows, we Norwegian-Americans may be related in some way to the Irish via the Vikings! 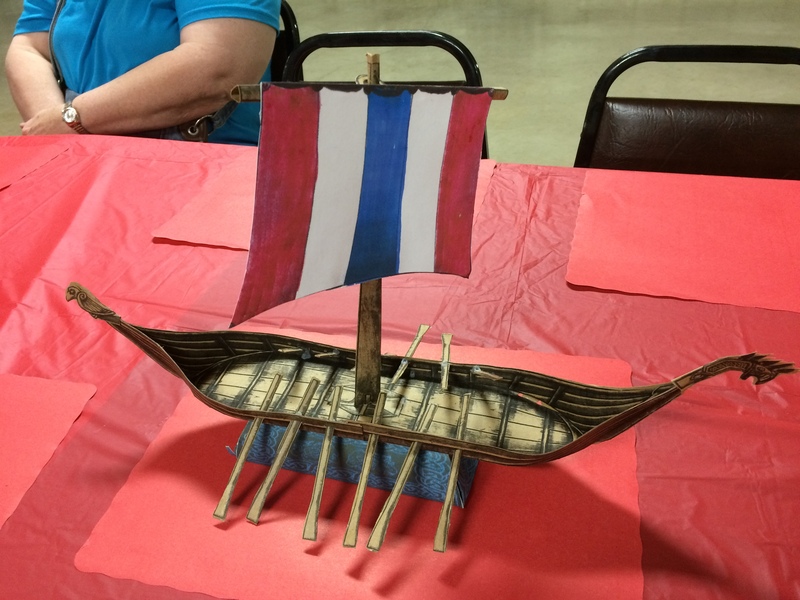 A special treat were the twenty-three Viking ship table place settings, each handmade from card stock and painted by Phyllis Benson of the Cleng Peerson Sons of Norway lodge #5-525 (Ottawa, IL). These are 17 inches long, 3 inches wide, and 10 inches tall. Beautifully done, Phyllis! 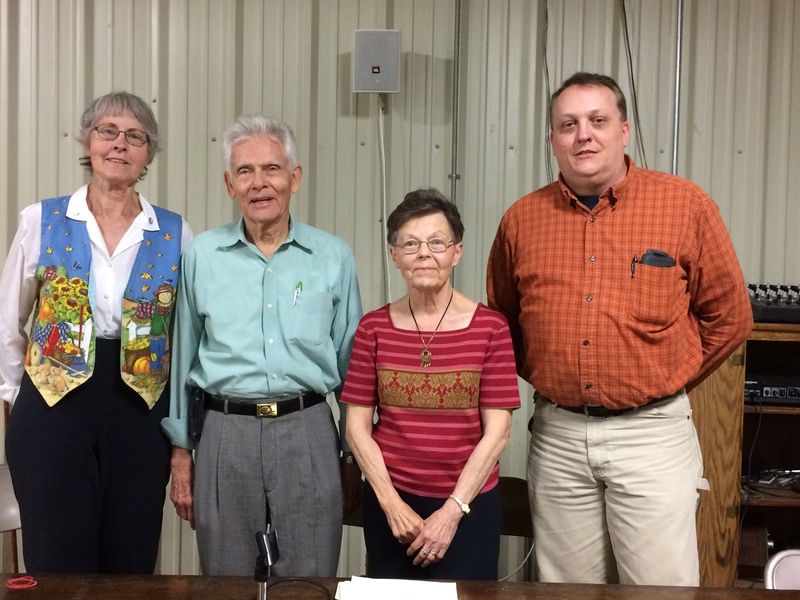 Congratulations to the new officers of the Slooper Society! And “mange takk” to the outgoing officers, who have served during the many past years: Pat Goodman Hayes (President), Rev. Wesley Hougsted (VP), and Lou Hougas Wise (Secretary). (left to right) Pat Hayes, Rev. 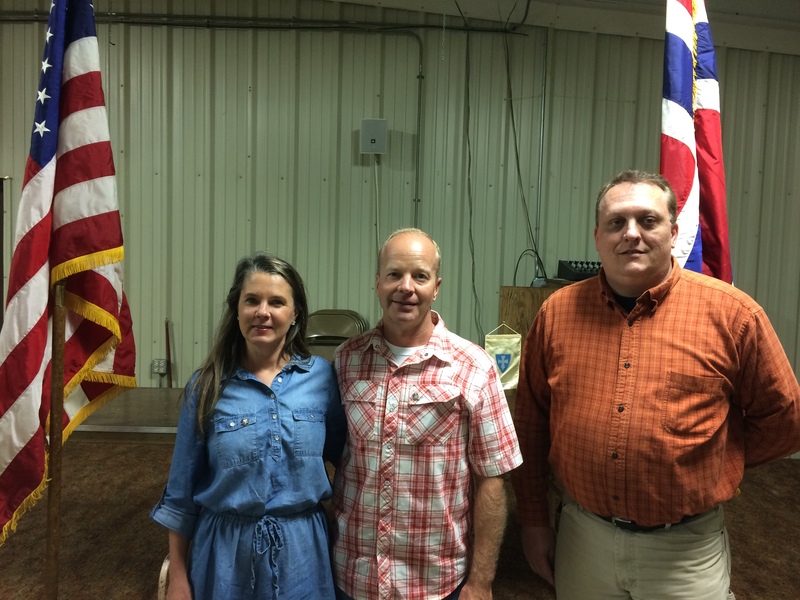 Wesley Hougsted, Lou Wise, and Steve Southcombe (Treasurer). This entry was posted in Annual Meeting Reports on October 14, 2017 by Bill. You are cordially invited to the 92nd annual meeting of the Slooper Society of America. This meeting also extends to include our Sons of Norway friends. 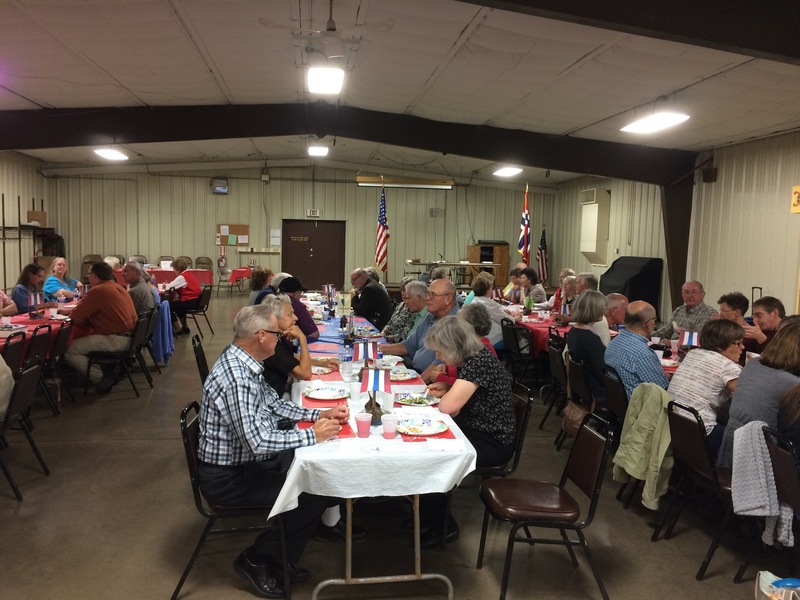 Please mark your calendar for Sunday, October 8th, 2017, and plan to join us at the Norway Community Building, Norway, IL, just off Route 71. Dinner will be served at 1:00 pm. We ask that each family bring a dish to pass. Table service and drinks will be provided.Our program this year will be presented by Kirk Mies (Rosdail descendant) and will be entitled, “An Enduring Legacy”. He is passionate about knowing and preserving his Norwegian heritage as well as creating renewed interest in it for the next generations. There will be a short business meeting following the program. As in the past, the Norsk Museum will be open for those interested. 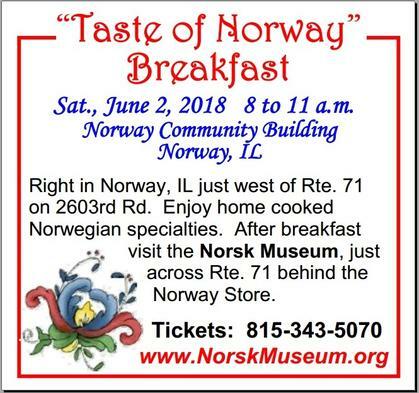 The Norway Store has many Norwegian items and foods and will be open until 5:00 p.m. 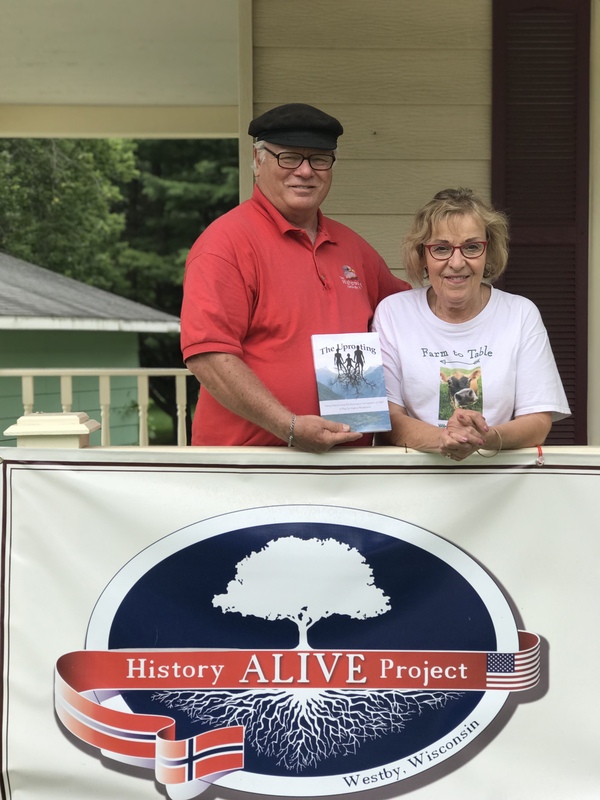 The re-printed book, The Sloopers: Their Ancestry and Posterity (Collector’s Edition), will be offered for sale at a special discounted price this day only for those that attend. P.S. Kirk will have Slooper lapel pins available for $5 each. This entry was posted in Annual Meeting Reports on August 24, 2017 by Bill.